Perugia, 이탈리아의 레지던스 라 테라자 - Hostelworld.com에서 저렴한 호스텔과 숙박시설을 찾아보세요. 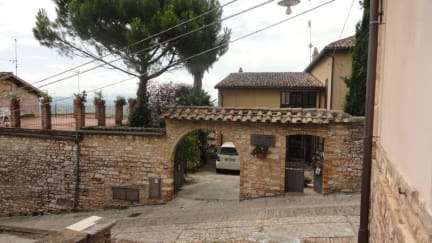 Residence La Terrazza is a rustic and classic property in the beautiful and green Umbrian countryside. 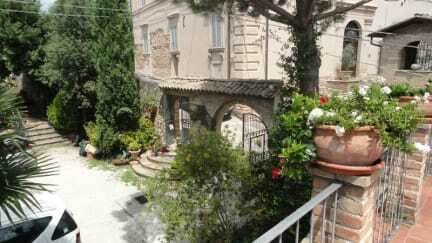 Situated in Spello, a small fraction on Perugia, called one of most characteristic of the Umbrian Valley. Due to its geographic location, while staying at our hotel, you can reach in a few minutes drive of the city and historical places of Assisi and Foligno. The Property features comfortable apartments in rustic style and classic, and have Wi-Fi, air conditioning, kitchenette, barbecue, and various kitchen utensils and a stunning panoramic view of the surrounding landscape. Check in from 12:00 to 23:00. Check out from 08:00 to 11:00. Payment upon arrival by cash, credit cards, debit cards (This property may pre-authorize your card before arrival).